A few weeks ago I saw a picture of a bracelet on pinterest the I just had to try to make! It looked easy enough! And guess what folks?? IT WAS EASY! 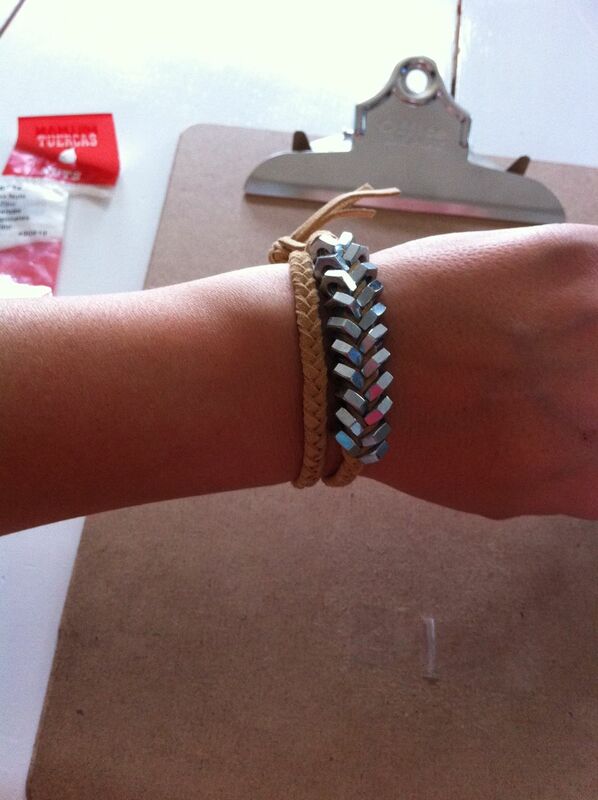 Here are a few pics that Bri took of the Hex nut bracelet I made for her. I think it looks awesome with her chunky gold watch! 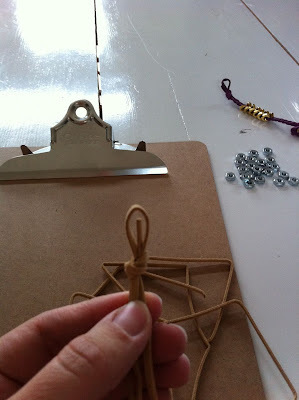 I used tan leather cording. 1. 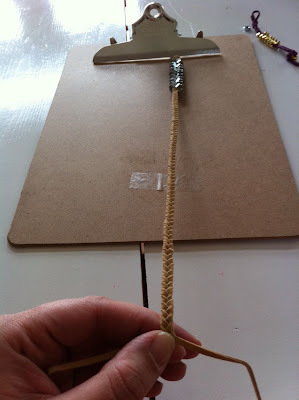 Triple fold your length of cording so you have 3 strands for braiding. When you do this you will have a loop with one cord at the top. 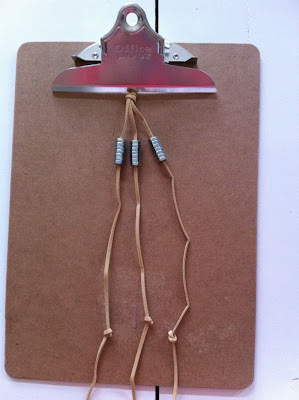 Knot it off to secure the loop and cord like the below image. 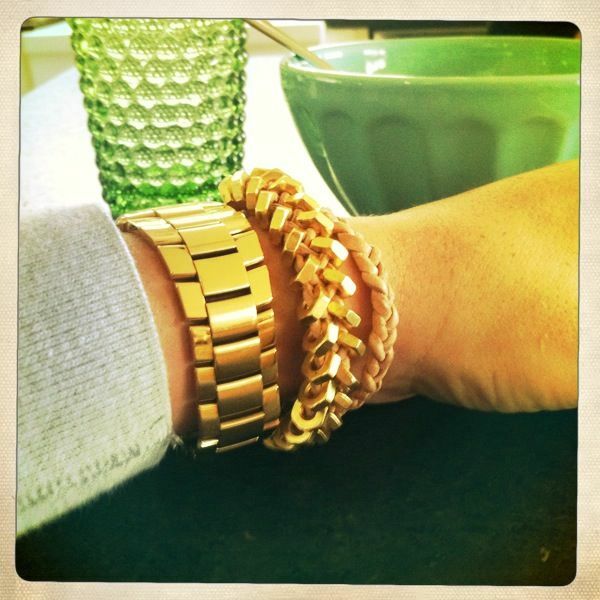 If you plan on making a double wrap bracelet, you will need about triple the length of what fits around your wrist. 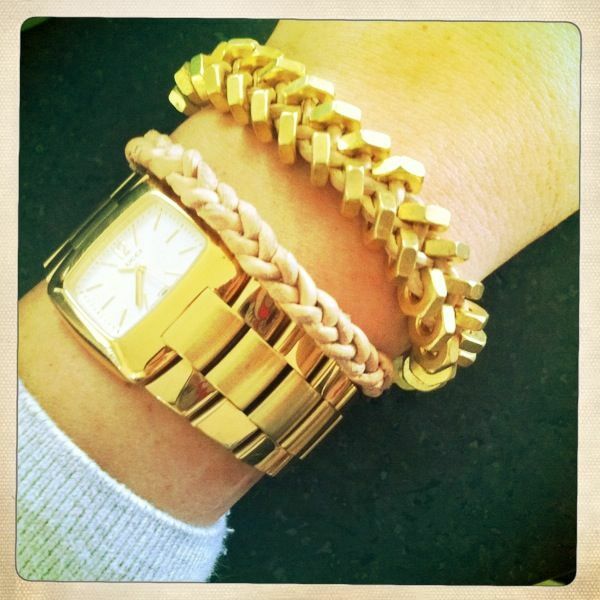 If you just want a single wrap bracelet, you will need the cording to be the length around your wrist plus a few inches. 2. Next thread an even amount of hex nuts on each strand. Then put a knot in each strand to keep the hex nuts from falling off while you braid. 3. 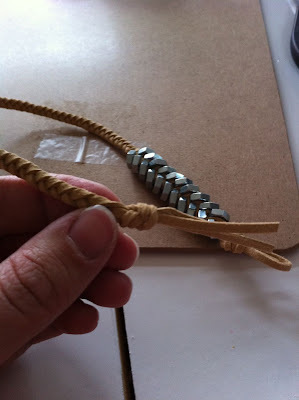 Start braiding your cording and eventually push a hex nut up at the top of the cord you are about to braid over. All you are doing is braiding like you normally would adding a hex nut to each and every strand you bring over. 4. 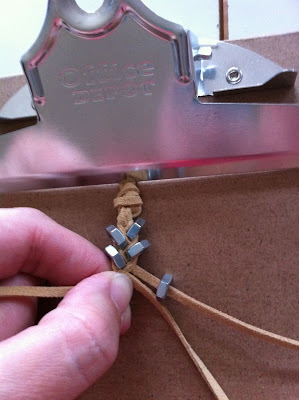 For a double wrap bracelet, continue to braid the cord long after you have ran out of hex nuts. Braid it to the length of twice around your wrist. 5. Once you have the length right, knot it off. 6. Clip the leftover length. 7. 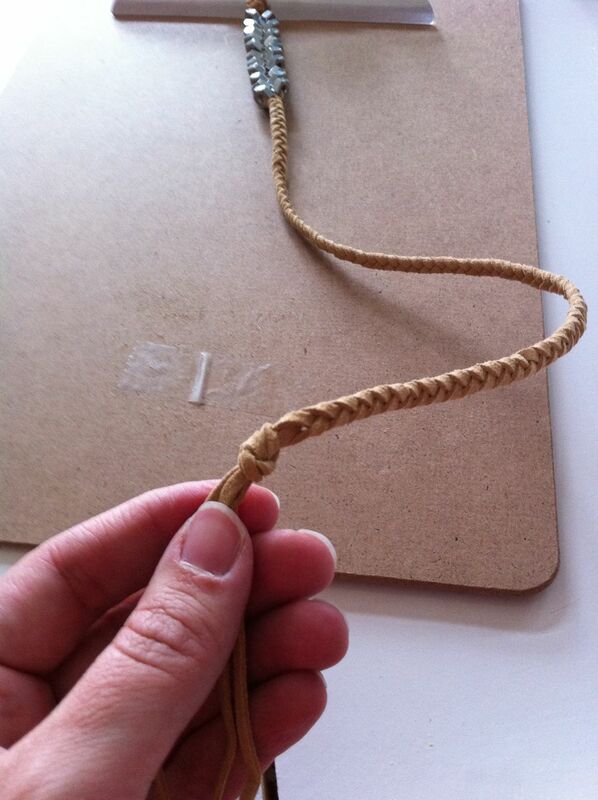 Wrap around wrist and secure the end knot through the top loop! Note: You can find leather, sueded or even hemp cording at most craft stores. I went to JoAnns. I've used zinc and brass hex nuts in 6-32 and 8-32 sizes. Find them at any hardware store! Love my bracelet! Wear it everyday. Yeah, I've been loving those too - so cute! Thanks for the toot!